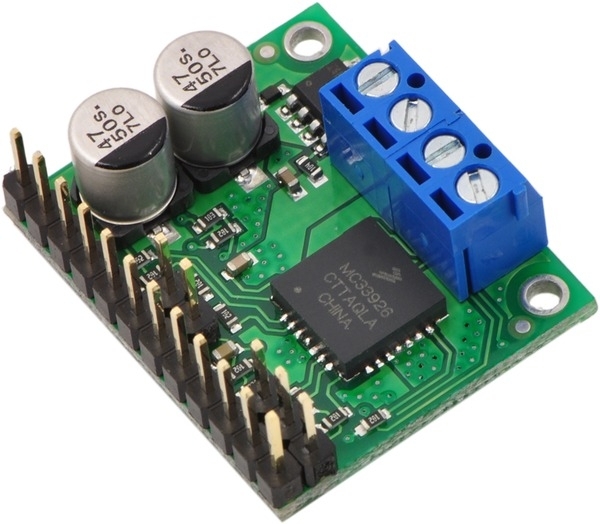 The MC33926 motor driver carrier can supply up to almost 3 A continuous current to a single brushed DC motor at 5 – 28 V, and it can tolerate peak currents up to 5 A for a few seconds, making this a great general-purpose motor driver for medium-sized DC motors. 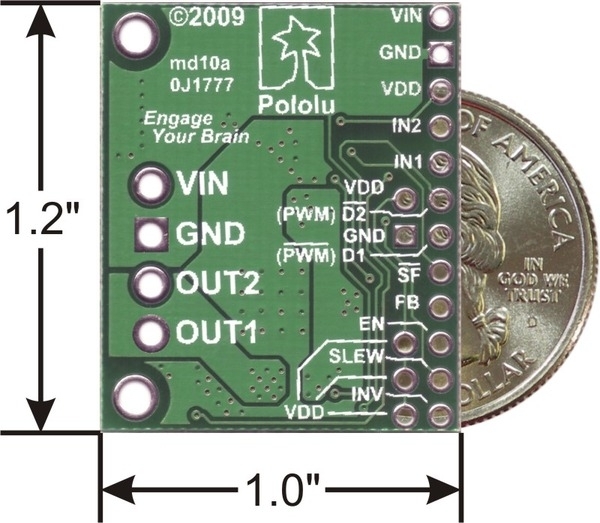 The MC33926 supports ultrasonic (up to 20 kHz) pulse width modulation (PWM) of the motor output voltage, which eliminates the audible switching sounds caused by PWM speed control, and a current feedback circuit outputs an analog voltage on the FB pin that is proportional to the output current. Since this board is a carrier for the Freescale Semiconductor MC33926 H-bridge, we recommend careful reading of the MC33926 datasheet (1MB pdf). 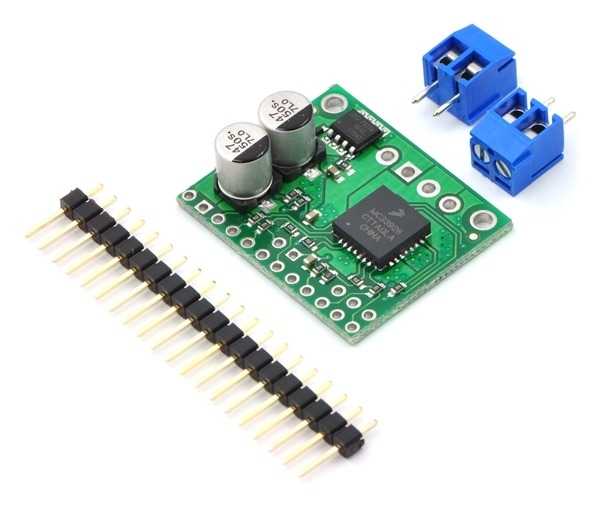 If you have two motors to control, please consider the Dual MC33926 motor driver carrier. 2. 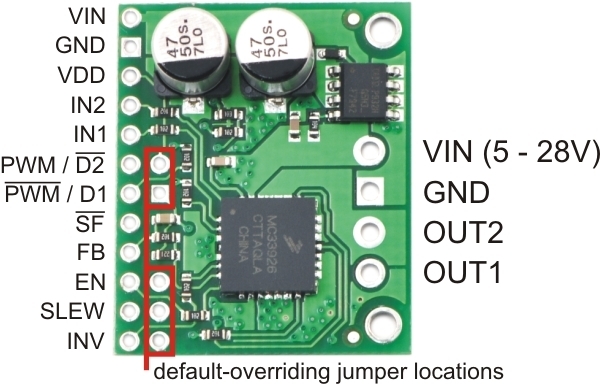 Operation from 5 - 8 V reduces maximum current output. 3. 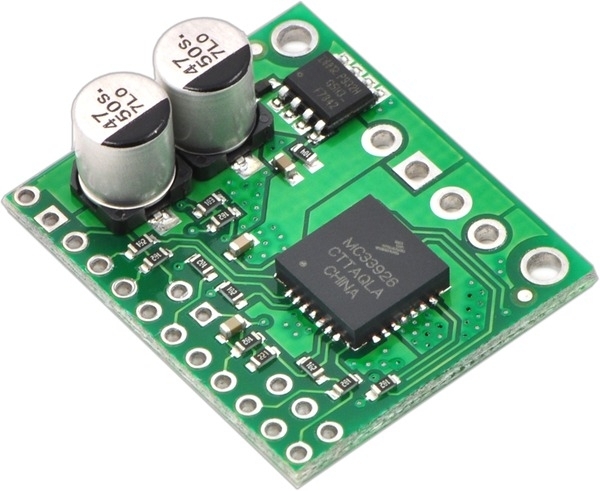 The device is protected for transients up to 40 V.
4. Can be improved by addition of heat sink or forced air flow. 5. SLEW pin should be HIGH for frequencies above 10 kHz. 6. Input HIGH threshold can be as high as 2.0 V.
7. 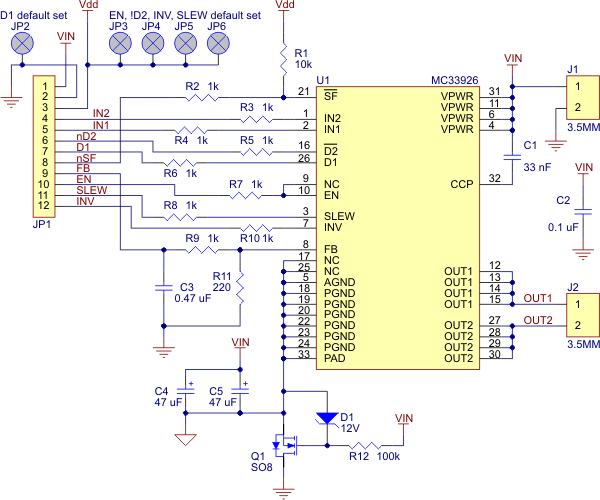 On motor voltage only; logic voltage does not have reverse protection.